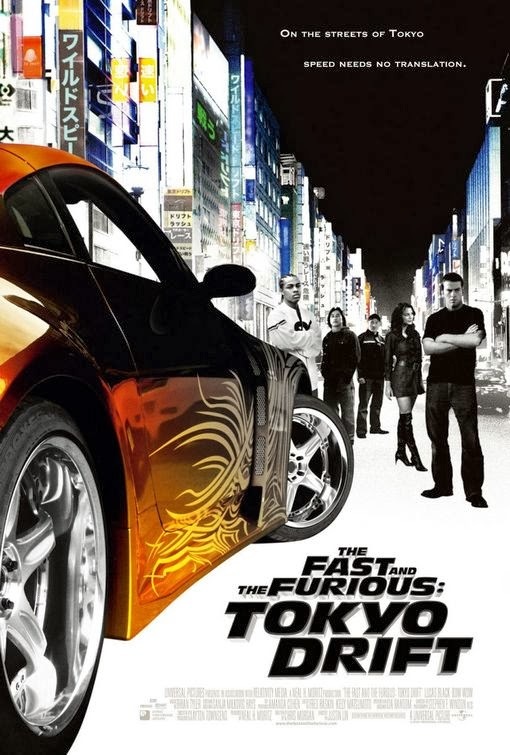 The Fast & Furious movie franchise continues to motor along at full throttle and it even seems to be picking up speed in the latter installments, proving the films are as popular as ever. 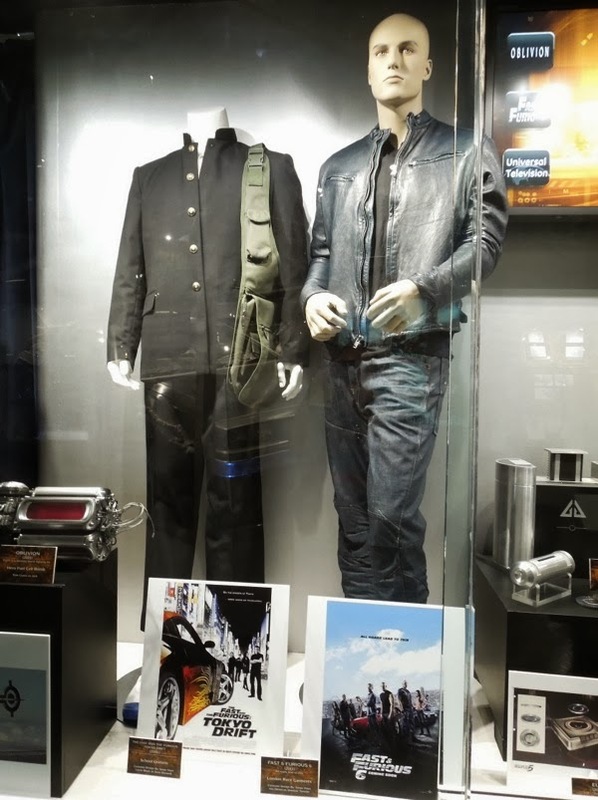 The cars and costumes from the movies always seem to be popular sights here at Hollywood Movie Costumes and Props too, so here's two more outfits worn by Lucas Black and Vin Diesel in the movies on display at Universal Studios Hollywood on July 30, 2013. 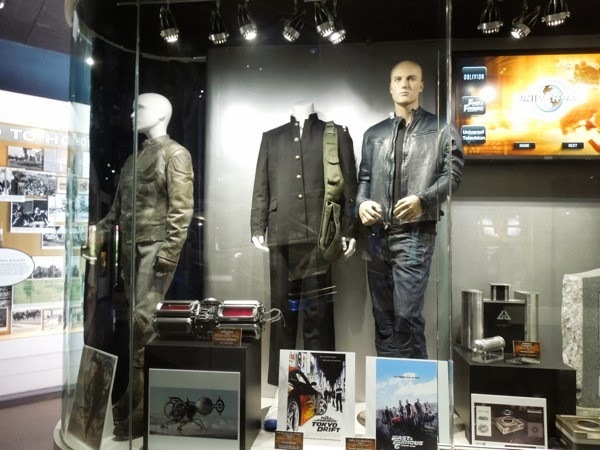 The Japanese school uniform outfit on the left is worn by Lucas Black as 'Sean Boswell' in 2006's The Fast and the Furious: Tokyo Drift, the third movie, whilst the costume on the right is worn by Vin Diesel as 'Dom Toretto' in the latest 2013 film, Fast & Furious 6. 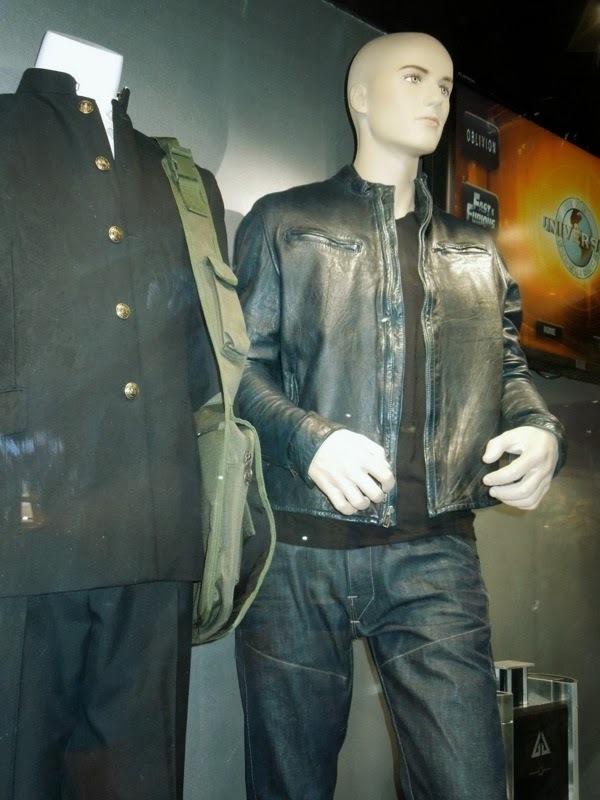 Interestingly Sanja Milkovic Hays has been Costume Designer on every single Fast and Furious film so far. 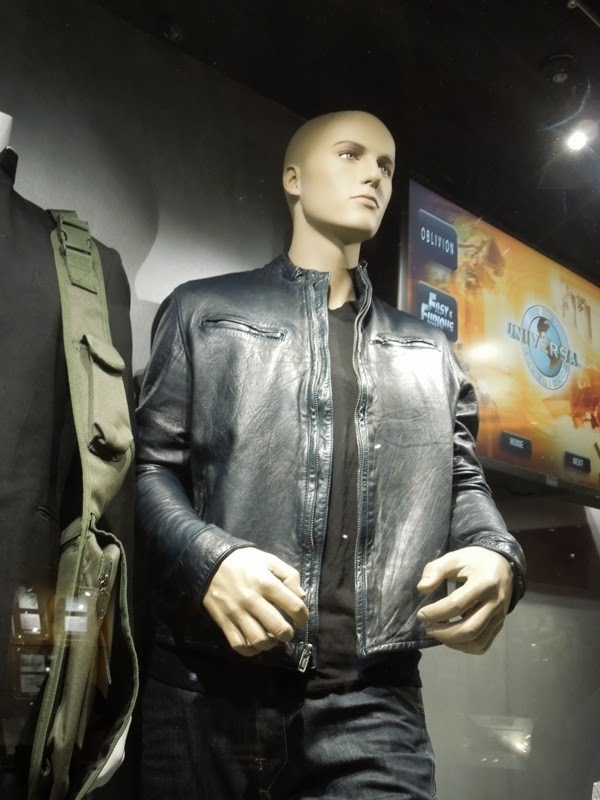 If you're a fan of the movies, be sure to also check out these original cars featured in Fast & Furious 6, along with a life-size waxwork of Vin Diesel. 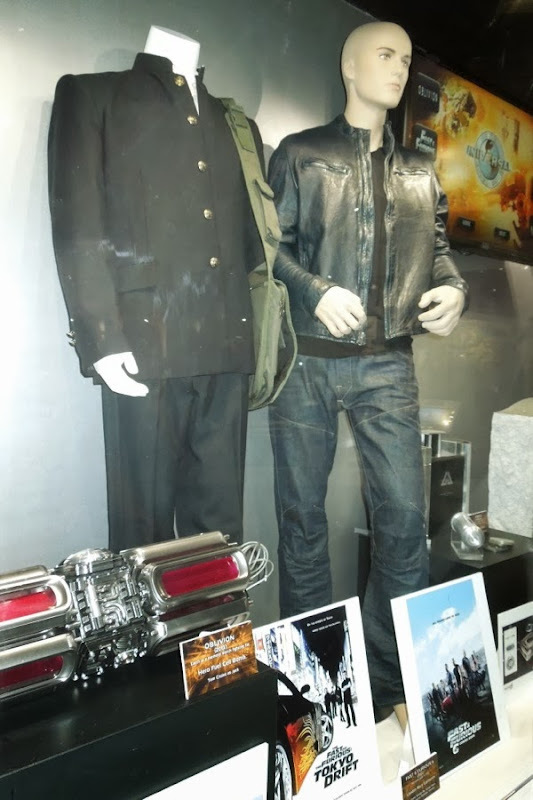 Plus whilst you're at it, take a look at Michelle Rodriguez and Jordanna Brewster's Fast & Furious costumes too.